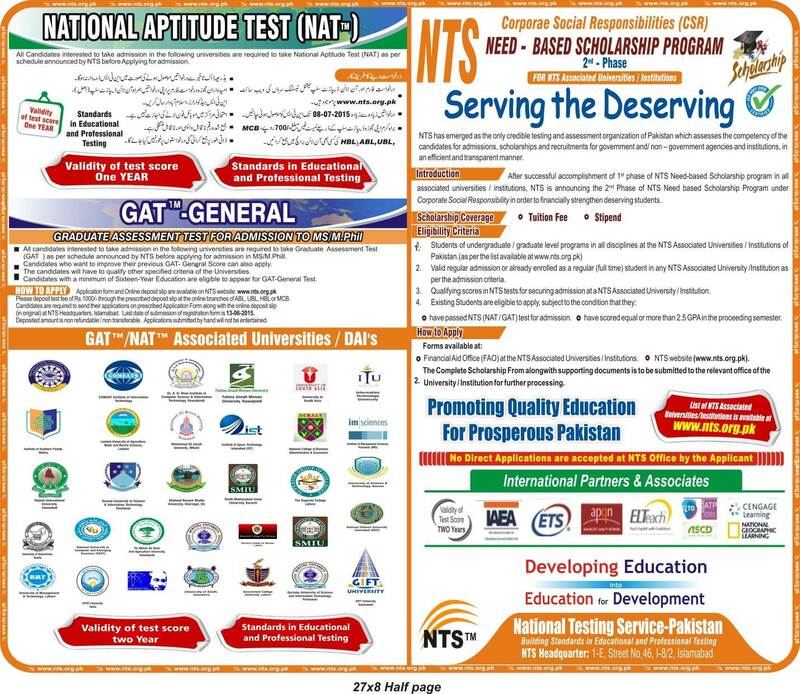 °	Financial Aid Office (FAO) at the NTS Associated Universities / Institutions, Nationwide. The complete Scholarship Form along with supporting documents is to be submitted to the relevant office of the University / Institution for further processing. NOTE: Direct applications are not allowed by the applicant.